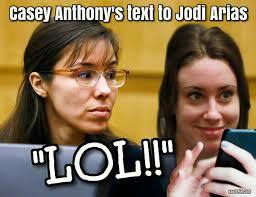 Many people believe that much of the media storm against Jodi Arias was due to the results of the Casey Anthony trial. The Jodi Arias trial is back on the front burner again with what is usually a mundane process, but hope springs eternal that some controversy or drama can be somehow squeezed out of this situation. Tweeters in the Phoenix, Arizona courtroom are experimenting with different titles for Ms. Arias Such as “Convicted Killer Arias” or “the Murderess”. A woman named “Jen”, and others are joking about the slowness of Defense Attorney Kirk Nurmi, especially after lunch. They’re questioning if he is being slow on purpose in order to add to the trial’s tremendous tab. Now slimmed down and reportedly sporting hair, Nurmi has written yet another voluminous motion to dismiss the Death Penalty, based on previous accounts of “prosecutorial misconduct” along with some new allegations. It’s like a high school reunion of class clowns as all the celebrities start gearing up and jockeying for position during the jury selection of the Jodi Arias 2nd penalty phase. HLN is coming on strong and is the current media fave among potential jurors, according to tweets coming from reporters inside the courtroom. Jen from the Trial Diva’s fame is now back with her Trial Diaries website, tweeting every occurrence in the courtroom. CNN has made sure to cozy up to her as she has great popularity on Twitter. Earlier rumors reported that Jen and Prosecutor Juan Martinez had become good friends. Vinnie Politan is gone form HLN, which is no big loss, but Nancy Grace and JVM have more than made up for his absence with their powerful vilifications of Jodi Arias and her defense. There’s no need to pretend there is any objectivity or to try to hide their favoritism in the case, like they tried to do at least in the beginning of the guilt phase. Beth Karas is basically a free agent now after possibly having refused to go along with HLN’s completely one-sided reporting. She stayed at HLN too long until they finally decided to try to humiliate her in the process of dumping her. Today, on the fourth day of jury selection, for example, reporters are tweeting about the clothing and hairstyle of Arias. Ms. Arias is wearing a “royal blue top” and a “mid-high ponytail” according to Tweeters inside the court room. It’s a different court room and the reporters can get much closer to her. The prevailing sentiment of potential jurors has been that Jodi Arias should get the Death Penalty. Of course, most of these jurors have been dismissed. There was at least one who thought that all 1st degree murders should get the DP. Other potential jurors are saying that they could never vote for anyone’s death, no matter what they have done, but that they could still be fair? What?? You have to hand it to Arizona jurors, they seem to be a special breed, truly. Some jurors have been victims of murderers and one potential juror has had co-workers who were stalked and murdered. This perfectly exemplifies the tone and tenor of reporters as they gear up for this story, attempt to ramp up the hatred, and try to find a way to wrangle up some drama at the start of the final courtroom scenes and acts. This is what JVM has on tap for tonight. Oh, that voice of her that sounds just like an air-raid siren! A group of nearly 400 potential jurors has been whittled down to 82 finalists, with 12 that have just made it to the 3rd round, or pre-emptive elimination round where attorneys for the defense and the prosecution will dismiss jurors without cause. They have so many of these (10 each, instead of the usual 3, I believe) and then they must give reasons for cause for dismissing any potential jurors who make it past the 3rd round. Of the Tweeters in the courtroom, Jen, from Trial Diaries recommends Jeffrey Evan Gold and Monica Lindstrom in her absence. As above, Jeffrey Evans Gold seems to show what he’s all about. Monica Lindstrom seems to be much more fair and normal, so-far. I Haven’t seen any reporting like that from anyone else. Someone actually complimented the Defense, imagine that! Nice to see at least one person attempt to present both sides reasonably fairly and accurately. This one juror incredibly has family who knew Jodi Arias and has co-workers who were murder victims of a stalker. This does not by any means indicate that this juror will be good for the prosecution, but it’s so doubtful this juror will survive the later rounds. 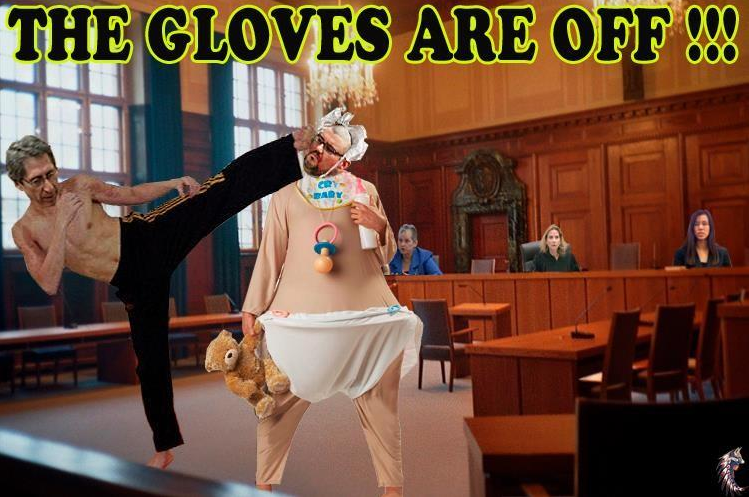 Sort of funny the way #JodiArias Pros Juan Martinez style is bombastic whether def on stand or a juror in box. Maybe I should take back what I said about him earlier. So this should be easier to report from a media-bias view, as the two sides are no longer about guilt or innocence, but about whether the convicted should spend life in prison or be executed. 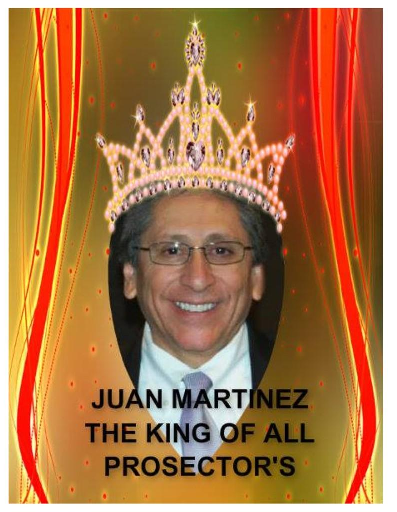 Prosecutor Juan Martinez will be sure to drum into the jurors heads that it’s a fact that Jodi Arias committed pre-meditated murder and that that murder was especially cruel. You can expect him to make that absolutely clear. I have a surprise that will drop in a few days. 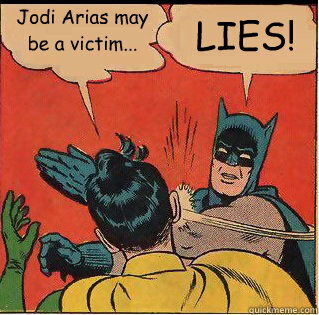 #JodiArias. Translation: I’m late to the party and I desperately need to distinguish myself as a top reporter on this penalty phase re-trial before I’m left behind in the dust and forgotten. Let’s see if that “SURPRISE” will ever really materialize. 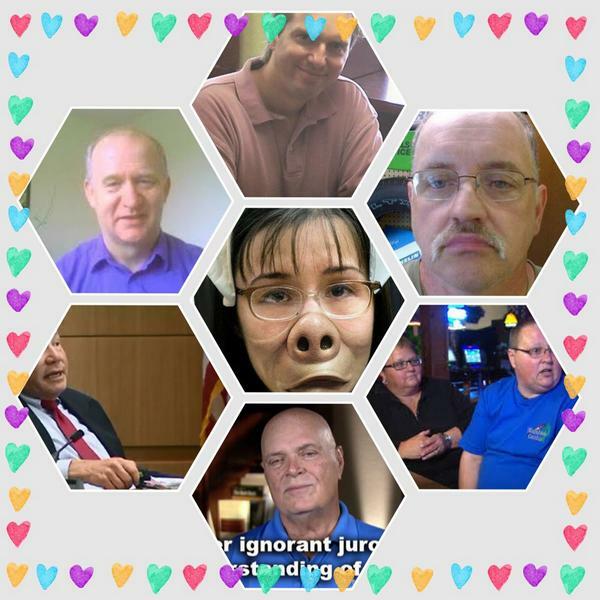 Here a mock-up of Jodi Arias is surrounded by so-called supporters (Clockwise from the top) Webmaster Jason Weber, Some guy who wanted to attack Nancy Grace, Friend Donovan, The foreman from the original trial, William Zervakos, Defense expert Dr. Robert Samuels, and Humanitarian from England, George Barwood. We wonder how the trial is going to go, yet, below the surface we know how the trial is going to go. Juan Martinez will try to force his opinion every step of the way and the defense will try to oppose this at every opportunity. Juan will argue that the jurors should, with objectivity and without emotion, apply the facts to the law. The defense will argue that life in prison is an appropriate punishment and they will argue the value of a human life in general, and of Jodi Arias’ life in particular. The defense will try to personalize Jodi Arias while Juan Martinez will call her “it” and “that thing” who chopped up Travis Alexander without a thought, then giddily rushed to Utah to perform mating rituals on Ryan Burns. As the new penalty phase re-trial has abandoned the question of guilt or degree of guilt all together and now only asks about life or death, so too the blogs and Facebook pages have for the most part abandoned any discussion or debate about the guilt phase. A secret Facebook Page called “Jodi Arias Both Sides” is run by Brad Justda, who now is calling himself Brad Smith. He seems to be a good guy, but I wonder what he means by “both sides”. Both sides of what, you may wonder? On that page, which is a secret page to begin with, are a large variety of a mixture of decent people, ignoramuses, and mad zealots, who do not tolerate any hint of the guilt and aggravator phase of the trial not having turned out exactly right. In their view, it was a fair trial logically worked out and all allegations about Jodi Arias were proven to be true. 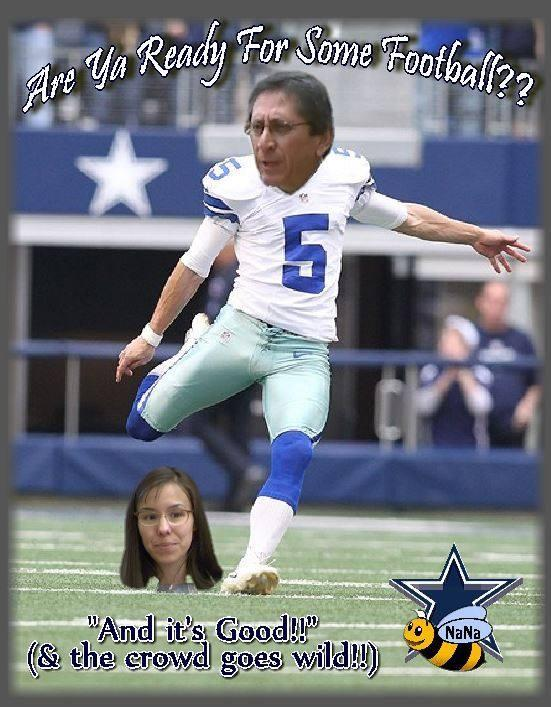 A Prosecution supporter uses a famous comic strip to mock Jodi Arias Supporters. In the world of the mad zealots of the prosecution supporter pages, no one is allowed to question the verdict or to bring up any question which may reflect unfavorably on Travis Alexander. If you do, you are met by almost hysterical personal attacks. On that page, if you allow someone to voice their minority opinion, you are a traitor to the Travisites and you have let down your idol and your team. You must launch a personal attack on anyone who doesn’t believe the same things as you, you must block anyone who is a Jodite and who has a different opinion than you do. You must insult that person, fabricate false evidence against them, obstruct and divert the conversation, spam the thread, and do whatever it takes to repel the agitator off of the page. This is what alternate juror Tara Kelly was told by fellow Tweeters when she showed up on Twitter so shortly after the trial. Her wise friends advised her to not have discussions with people who have opinions that are in opposition to hers and to just block them. Then you can live in the peaceful bliss of unanimity. It hardly seems American, but free speech has no place in the Travisite world, where speech is only free when people are being told what they need to hear. On a page that is 99% prosecution supporters, any voice in opposition is not able to be heard. Yet, on some Jodi Arias support pages, prosecution supporters are allowed to speak their mind and air their opinions freely. You have to wonder why that’s so? @yours917 @mitchiepoo46 @jodimustdie @bunnykittenpupp @ClubLove13 I Sooo want it to get DP!! It on death row…Priceless!! Jodi Arias supporters are thought by prosecution supporters to be every bit as vile and as guilty as they suppose Jodi Arias to be. This means if you support Jodi Arias, you are a lying, murdering scum. You are a felon and a deviant. 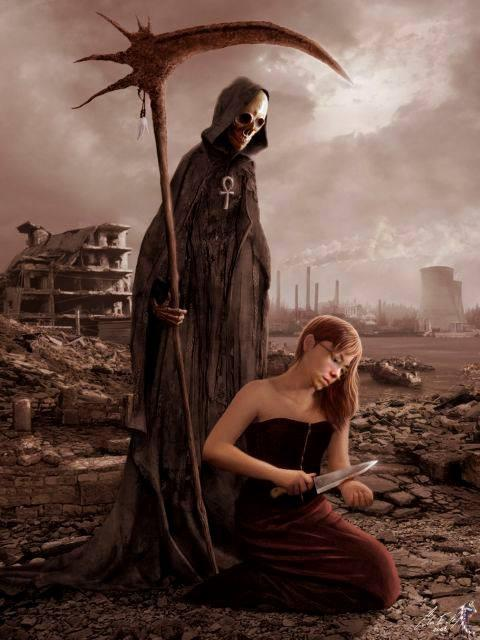 You are no better than a murderer and you are hypnotized and controlled by Jodi Arias and her crew of foreign fiends. Actually, the truth is that some people will always gather to support someone who has been rejected by society. Some people will always see that no matter what Jodi Arias has done, there have also been some injustices done by the other side. Some people will always rise up to support the oppressed, the underdog, the downtrodden, and the hopeless. The truth is that HLN helped to create Jodi Arias supporters, prosecution supporters helped to create Jodi Arias supporters, and Juan Martinez especially helped to create Jodi Arias supporters. The real, true support for Jodi Arias comes from very quiet people who do not talk about, discuss or debate the case, who say absolutely nothing derisive about the victim or his family, and who strive every day in their secret groups to give well wishes, words of encouragement, strength, prayers and love for Jodi Arias. Some people can’t stand that fact but it’s a fact. Some Jodi Arias supporters are counting on a type of Stockholm Syndrome where people have come to know and perhaps hate Jodi Arias so strongly that perhaps they will also want to see her life spared. People we know never use the word “Travis supporters”, because actually, most Jodi Arias supporters feel badly about what happened to Travis Alexander and support him as much as anyone else. We don’t hear much of anything positive or supportive towards Travis and his family coming out of the other side at this time. Not to say it’s not there, just that it hasn’t been very visible. 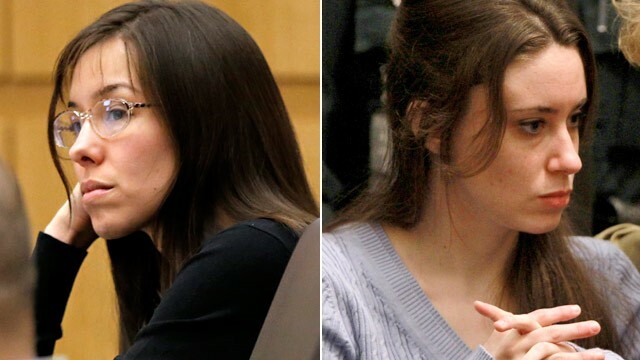 It seems more a sport or a game, a spectacle of entertainment as many fervently hope that Jodi Arias will get the Death Penalty and they can call it a day. This can be the final victory for Travis as the Defense team of Kirk Nurmi, Jennifer Wilmott, and mitigation specialist Marie De La Rosa and Jodi Arias herself are finally, publicly vanquished and the world can see that there is no mitigation for such an atrocity. However, many Jodi Supporters and also many prosecution supporters as well are hoping that at least some of the jury will see that there is value in a human life, that this case has been somewhat overblown, and that life in prison is an appropriate punishment. It’s really in the hands of this new jury. Only time will tell.